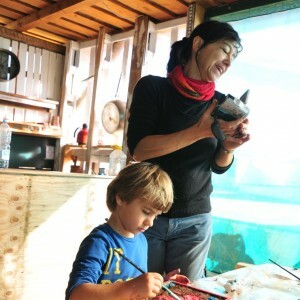 Casina Settarte is an association founded by Germana Siciliani and Francesco Zita since 1994. After travelling Europe and pursuing their passion for contact improvisation by training with leading artists and teachers they established Casina Settarte curating an annual programme inviting practioners they wanted to work with to lead residential workshops and creation projects in a small rented property near Cisternino, Puglia, Italy. For 14 years they invited international practitioners they wanted to work with and created a beautiful world where nature and creativity lived side by side. Practitioners came from all around the world including Nancy Stark-Smith, Ruth Zapora, Julie Stanzak, Rick Nodine, Kirstie Simson, and an international community developed with practitioners and participants returning year after year. In 2010 Franco and Germana purchased a 3 hectare property in the Itria Valley where they could put down deep roots, developing the land and creative life of Casina Settarte to realise more of their dreams of living and working sustainably and creatively with their two young children. Sustainable living has always been at the heart of Casina Settarte and since 2014 Germana and Franco have been collaborating with permaculture expert Guiseppe Sannicandro to develop the grounds and create projects and training in this important area. Today Casina Settarte is a vibrant and dynamic space hosting workshops, courses, residencies, volunteer programmes, horticultural, environmental and bio-construction projects and a family home. Born and raised in Bari, Italy, Francesco began training in theatre and the work of Grotowski in the early 80’s. His exploration into the world of movement lead him to train in martial arts including Aikido, Kung Fu and Tai Chi eventually becoming a teacher of these disciplines. Francesco has travelled around the world working as a dancer and training with leading practitioners in Contact Improvisation, Contemporary dance, physical theatre and Butoh. Recently Francesco qualified as a Biodynamic Craniosacral therapist, a light-touch practice that balances the body’s natural rhythms and promotes self-healing. In 2015 Francesco developed ‘Tuning into the Wild’, a workshop concept combining physical various practices with activities and learning on and about the natural environment. 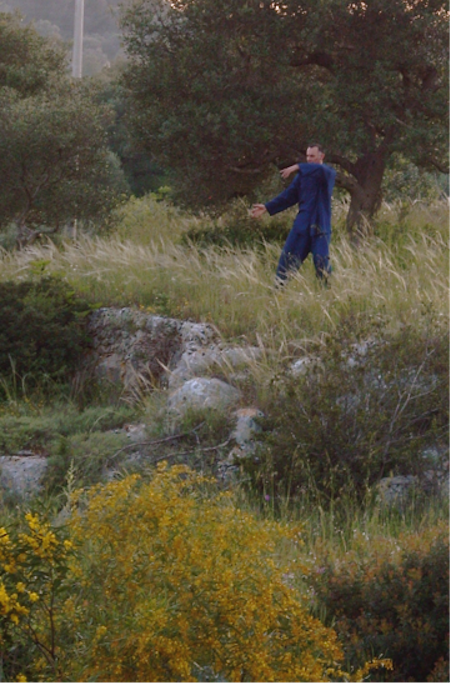 Franco teaches weekly Tai Chi classes at Casina Settarte and monthly workshops and week-long residentials in ‘Tuning into the Wild’. To find out how to get involved with these activities please see our ‘Workshops’ and ‘Courses’ pages. To book a Craniosacral therapy session with Franco please email info@casinasettarte.org. Born and raised in Bari, Italy Germana graduated in Philosophy and Aesthetics at the University of Bari and studied at Université Paris 8 for her doctorate in Art Theory. Whilst in Paris Germana studied Contact Improvisation and Instant Composition with Didier Silhol, subsequently working with him as a dancer and translator. 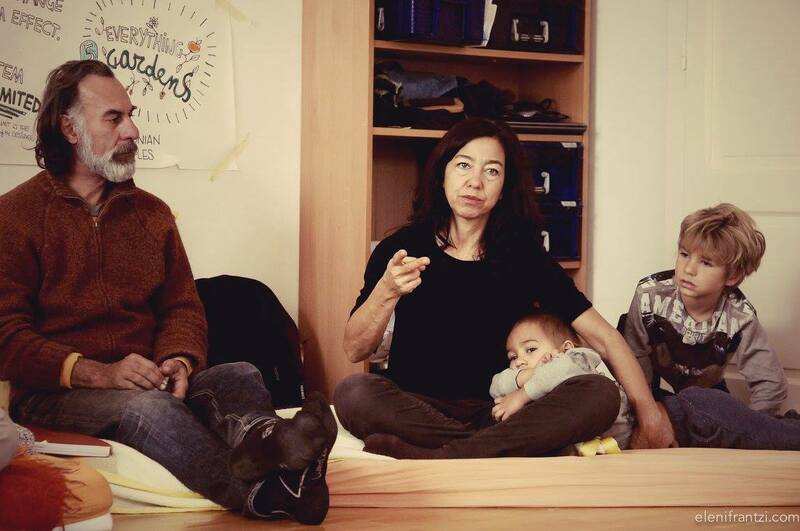 Alongside her work curating and managinghttp://www.casinasettarte.org/wordpress/wp-admin/post.php?post=424&action=edit&lang=en&admin_bar=1 Casina Settarte Germana teaches Philosophy in local schools. Germana is passionate about the environment and producing organic food she has an extensive knowledge of local flora and is currently training in Permaculture Design.